Samsung Electronics asked a U.S. federal court over the weekend for a temporary stay on its preliminary injunction on the sale of the Galaxy Nexus smartphone in the U.S., pending the company's appeal. Judge Lucy H. Koh of the U.S. District Court for the Northern District of California, San Jose Division, on Friday granted a preliminary injunction against the Galaxy Nexus and "any product that is no more than colorably different from the specified product and infringes U.S. Patent No. 8,086,604." As a condition of the preliminary injunction, Apple was ordered to post a bond of US$95.6 million towards any damages sustained by Samsung if it is later found to have been wrongfully enjoined. Patent No. 8,086,604 relates to an universal interface for the retrieval of information in a computer system. Apple's complaint asserts a total of eight patents and identifies seventeen accused products, but it moved for a preliminary injunction only against the Galaxy Nexus smartphone, and on the basis of four patents, including the '604, patent no. 8,046,721 relating to the slide to unlock, patent no. 8,074,172 on word recommendations and auto correct, and patent no. 5,946,647 relating to a system and method for performing an action on a structure in computer-generated data. The court concluded that Apple has shown that the four patents are likely valid and infringed. Apple has further shown that it is likely to suffer irreparable harm in the absence of immediate relief, and that this irreparable harm will be attributable to Samsung's alleged infringement of the '604 patent, though Apple has not shown the same with respect to Samsung's alleged infringement of the '647, '721, or '172 patents, Judge Koh wrote in her order. Samsung has given notice to the court of its intention to appeal the order before the U.S. Court of Appeals for the Federal Circuit. The company is seeking an order from the District Court staying and suspending its order for preliminary injunction pending the appeal, or, in the alternative, pending a decision by the Federal Circuit. Apple has opposed a stay. The Korean electronics company received two other setbacks last week before the same court. On Tuesday, Judge Koh granted a preliminary injunction against the sale of the Galaxy Tab 10.1 tablet in the U.S. in another patent dispute between Apple and Samsung. Samsung said it would appeal the order, and asked the court to stay and suspend the order pending its appeal. 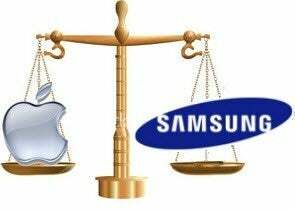 In yet another order, Judge Koh denied Samsung's motion for a summary judgment in a patent dispute against Apple.